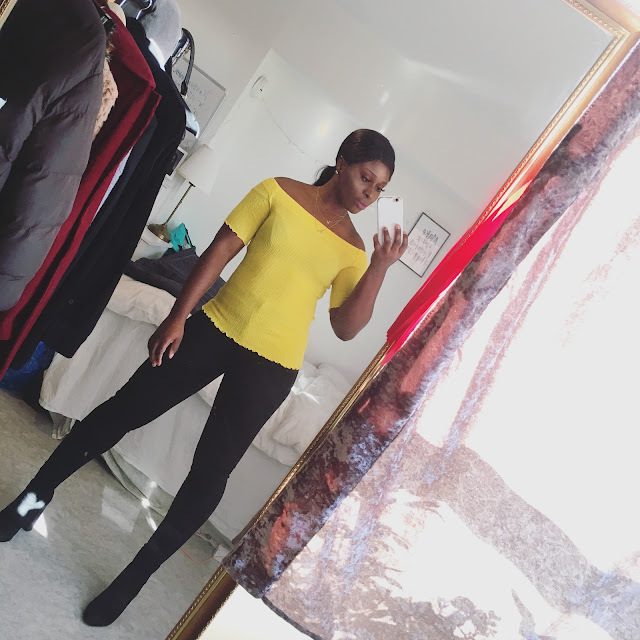 CHIOMA BANKS: STYLISH BOY-FRIEND JEAN LOOK! HEY GUYS! WHAT'S UP?! THIS WEEK HAS BEEN JUST A COOL / SAD WEEK BUT I GIVE GOD THE GLORY THAT I'M ALIVE TO SEE TODAY. MOST OF YOU ALL KNEW,MY BIRTHDAY WAS ON SUNDAY 17th November (Skorpio Kid)...Lol! I KNOW, I DID PROMISE YOU GUYS TO POST PICS OF MY B-DAY OUTFIT. I DECIDED TO DRESS SIMPLE BUT CLASSY & CHIC ON MY BIRTHDAY. * SO, I WORE A SKY-BLUE BOYFRIEND JEANS FROM 'H&M'. * A WHITE SINGLET-TOP WITH PRINT WRITTEN ''LOVE'' BY 'H&M'. * BLACK COVERED-TOE SHOE WITH THORNS, FROM NELLY. * WHITE LEATHER WRIST-WATCH, A PRESENT I RECEIVED ON MY BIRTHDAY FROM MY LOVELY/AMAZING BROTHER.